I was really hesitant about purchasing a used car 2,300 miles away and having it shipped across the country, but Neal made the process so smooth and professional that I would definitely use Shipping A Car if I ever do this again. The carrier that Neal brokered to deliver my car was polite, courteous, on time and was using a nice, new large car carrier. Neal was friendly, knowledgeable, professional, and kept me up to date the entire time while my vehicle was in transit. Everything was very professional. Thank you again for making this a smooth and stress free process. Neal is a great guy and very professional to do business with. Hands down the best company to use when having your vehicle transported. I recently moved from Alaska to the East Coast, and it was the first time I needed to have a vehicle shipped. I had gotten quotes from two other transport companies which came in a bit lower than Shipping A Car's quote. But when I spoke with Neal, I knew it was well worth paying a little more to entrust my Jeep to him. Neal has been so great to work with. He's very friendly, knowledgeable, professional, and he kept me informed about the whole process all along the way. The driver also was friendly and courteous, and my Jeep was delivered a day ahead of schedule. I highly recommend Shipping A Car to anyone needing vehicle transport!! First time shipping my car as a traveling nurse so I was very nervous.. but luckily this service was amazing! Neil was amazing! They actually got my car from FL to California a day earlier than expected:)! The whole experience from being to end was wonderful!! I will use them again in the future! I can and would only say very good things about this company. What started out as a nightmare with another company ended with Neal saving the day. I couldn't have asked for better customer service from the company or the transporter. Reliable Auto Transport in Three Easy Steps! 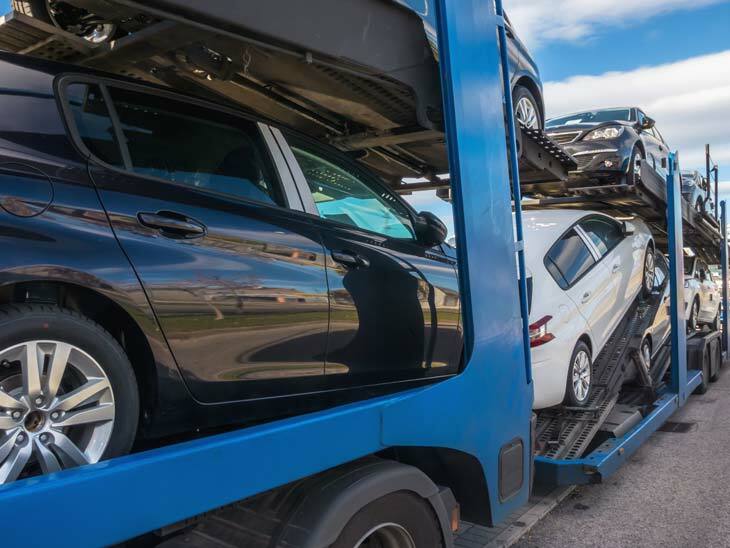 We take all the hassle out of shipping a car! We’re proud to offer a wide variety of auto transport services to our clientele. We can even ship everything from your car to your boat. You can be assured our drivers are the best and most reliable in the business and our competitive prices we have an impressive number of happy customers! Check Out Our Driver Reviews and Choose the Driver that is Right for You. Ask Us A Question On Twitter! Learn about how we help military families.